Drupal’s theme layer is very flexible and can accommodate just about any web design. It’s important for designers to remember, however, that they’re not really creating a page — they’re building a complete system to house the all of the site’s content. By creating the sitemaps, wireframes, and mockups, designers are actually outlining a site’s feature set. Designers, not developers, determine a site’s purpose and functionality. In this session, we will talk about the importance of understanding a CMS during the initial design phase of a project, as well as how to create a Drupal-optimized design. Standard practices, tools, and Drupal-specific shortcuts will be discussed in detail. All too often, however, projects begin the design phase prior to choosing a CMS. In these cases, it’s important for the stakeholders to understand that their choice of CMS may alter their design. To demonstrate the steps necessary to complete a successful Drupal “conversion,” we will present a detailed, real-world case study of the Expeditionary Learning relaunch. 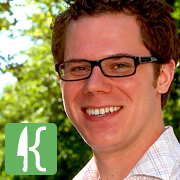 Four Kitchens co-founder Todd Nienkerk will describe how they translated a thorough but CMS-unspecific design into Drupalspeak — all while minimizing cost and meeting the client’s high expectations.